If you have skype installed you can select the link below to call Samina Latif, Dip. MBACP (Accred). Anxiety and Depression Psychotherapist. My name is Samina Latif. I am a fully qualified BACP accredited Psychotherapist/Counsellor. My membership with them means you can be assured of my professionalism and ethics. I also hold a current enhanced CRB check to work with children and young people. I have over 9 years experience of working with young people and adults. My style of counselling is warm and non judgemental. The aim of therapy is to build a relationship within the room where you feel comfortable enough to gently explore what is happening in your life. This interaction can then then be taken out of the room and applied to your life and what you want to achieve. You may be feeling sad or a bit lost at the moment. Sometimes talking to our friends does not help as they have their own very strong opinions, or you feel that the conversation becomes all about them when what you really need is to be understood for how you're feeling. Counselling is that space where you're needs can be met. I'm often asked 'Is counselling what I need?' 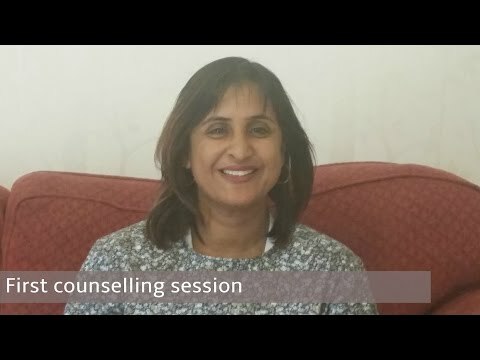 I tend to say come along for one session and you can decide, or spend some time with me on the phone and we can have a chat about what to expect from counselling. I also offer Skype sessions should you be unable to get to Twickenham or Hounslow. Using my experience and knowledge I aim to help you gain control of your life. 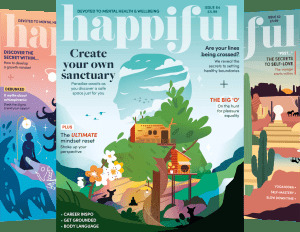 Together we can explore what has brought you to therapy, learn how experiences and behaviours have shaped the decisions that you make today, develop an insightful and personal way to change and finally build and maintain resilience for life. One of the monst daunting things about coming to therapy is the thought that there is something wrong or that we have to change. These thoughts can be overwhelming and really stressful. Counselling can give you the safe space to verbalise and process the changes that you want to make in you life or to look back at where your understandings or behaviours originated from. Change can be a really positive step forward, it can mean that you are more at peace with what has happened and you are able to find a meaning that works for you. At other times you may realise that you are ok but the situation is not what is healthy for you. The counselling space is about you. This maybe the first time in a while, or ever, that you have had somebody really listen and try and undrstand you. It is the place where everything can be talked about and where the process becomes about where you want to end up and not where others think you should be. How we see difference and perceive the normal is often a really difficult and complex subject. I would want to know how you think and feel about yourself. How do you see the difference between you and your world? The differences within you may be what has made you come to counselling or that you want to be recognised and accepted for you uniqueness. Your faith and everything about you is welcome. I will not be judging you or telling you what to believe. I recognise that for some people faith is a really positive and nurturing experience while for others it does not form a part of their lives. Most of my training has been psychodynamic. This means that I am interested in the past as a way of understanding the present. This type of therapy has a large theoretical base and is also the first type of talking therapy to have been developed. The therapy introduces the idea of the unconscious and the way that the psyche is arranged. It incorporates developmental stages and social control. One of the benefits of this type of therapy is that it allows me to explore deeply held beliefs and why they are so important. Further to this the counselling space between me and you is something that has the potential to be thought about. The space represents a mirror to the relationships that you are experiencing outside of the room. I initially began my training as a person centred counsellor and I still practice and integrate many of the concepts within my therapy technique. These consist mainly of the idea that what we really need in any relationship is the ability to be real; be warm and unconditional and have empathy. When we experience these elements within a relationship we develop and grow. Carl Rogers believed that all people have the potential to achieve their full potential if they are given these conditions. Lastly I also use CBT. This is a really powerful vehicle for change as it concentrates on all the negative emotions and ways that we behave. It is instructional and has a more defined format. Ways are developed so that you begin to think and act differently. Change can be very rapid. As well as English I can also offer sessions in Urdu, Hindi and Punjabi. I have specific training in the following areas. I also offer faith or religious based counselling. I offer a concession for counselling directory clients only. The initial taster session is £30.00. Sebsequent sessions are charged at £50. This can be negotiated depending on your circumstances. There are a few at cost sessions available periodically and I would be happy to put you on the waiting list. You can contact me using the details at the top of my profile. If I am unavailable then please leave a message and I will get back to you within the hour to arrange a time for us to talk. Monday to Friday with sessions available on the weekends.